Amid an escalating crackdown on civil society in Egypt, multiple staff members of prominent human rights organisations have been summoned on charges including “receipt of illegal foreign funding” and “working without legal permission”. The 41 human rights organisations currently targeted include the Arab Center for the Independence of the Judiciary and the Legal Profession (ACIJLP), the Cairo Institute for Human Rights Studies (CIHRS), the Land Center for Human Rights (LCHR), the Egyptian Democratic Academy (EDA), the Hisham Mubarak Law Center (HMLC), the Arabic Network for Human Rights Information (ANHRI), the Egyptian Initiative for Personal Rights (EIPR), the Egyptian Center for Economic and Social Rights (ECESR), Nazra for Feminist Studies, the Arab Penal Reform Organization, the Egyptian Center for the Right to Education, the Egyptian Association for Community Participation Enhancement (ACPE), and the Andalus Institute for Tolerance and Anti-Violence Studies, among others. On 18 March 2016, four human rights defenders and their families were informed that an order had been made for the freezing of their money and properties. The four human rights defenders targeted include Mr Hossam Bahgat, founder of the Egyptian Initiative for Personal Rights (EIPR), and currently a journalist at the independent news service Mada Masr reporting extensively on army and military trials in Egypt, and Mr Gamal Eid, founder and director of the Arabic Network for Human Rights Information (ANHRI). Both of the human rights defenders are founders of organisations named in the report by the fact-finding committee. The action against the human rights defenders was taken by investigative judges involved in the ongoing investigation into foreign-funding. The Cairo Criminal Court had been scheduled to review the order on 16 March 2016, however, this has now been postponed to 22 March 2016. On 13 and 14 March 2016, two staff members of the Cairo Institute for Human Rights Studies (CIHRS) were summoned via phone call to appear on 16 March 2016 before an investigating judge appointed by the head of the Cairo Court of Appeal. The summons were based on a request from the Minister of Justice, relating to the foreign funding case. The summons to appear at court had previously been sent to former addresses of the two employees. Both of the CIHRS staff members refused to appear in court as they had not been notified the summons as required by law. Between 13 and 15 March 2016, three staff members from Nazra for Feminist Studies were also summoned to appear for questioning on 16 March 2016 in relation to the foreign funding case. Nazra is a group that aims to build an Egyptian feminist movement and supports women human rights defenders through legal and psychological interventions. In December 2015, the Arab Network for Human Rights Information (ANHRI), chaired by Gamal Eid, received a call from a technical committee appointed by the Ministry of Social Solidarity. The committee sought to visit ANHRI and investigate their records. However the visit was postponed to an unspecified date due to Gamal Eid's absence at the time. The human rights defender was subsequently placed under a travel ban in February 2016. Numerous human rights defenders and prominent members of Egyptian civil society are facing travel bans. 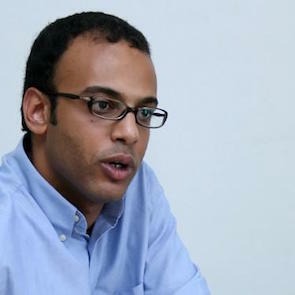 In February 2016, the Public Prosecutor placed a travel ban on Hossam Bahgat and Egyptian authorities prevented him from traveling from Cairo International Airport to Jordan when he was going to participate in a conference on justice in the Arab world. In January 2015, police officers prevented digital media specialist and human rights defender Ms Esraa Abdel Fattah from boarding a flight to Germany. Travel bans have also been imposed on human rights defenders Messrs Hossameldin Ali, Ahmed Ghonim and Bassem Samir of the Egyptian Democratic Academy, to whom it was explained that the restrictions had been imposed upon them in connection to the judicial investigation into illegal foreign funding. Egyptian authorities have also recently taken other punitive measures against human rights defenders. 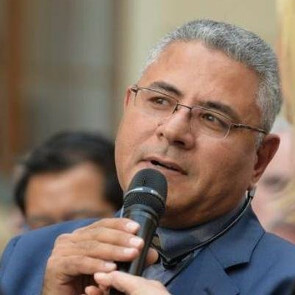 In March 2016, human rights lawyer Mr Negad El Borai was again summoned for interrogation after being previously summoned for questioning three times in May and June 2015, in connection with his work on a draft-law for the prevention of torture in Egypt. In February 2016, district authorities issued an administrative order for the closure of El Nadeem Centre for Rehabilitation of Victims of Violence and Torture for “breaching license conditions”. Restrictions imposed on Egyptian civil society have steadily intensified over recent years through increased legal requirements, judicial harassment, stigmatisation in both public and private media, and restrictions on access to funding. Front Line Defenders condemns the criminalisation of civil society in Egypt. It calls for an immediate end to the persecution of human rights defenders and reiterates the essential role of their work in the development of just and equal society.